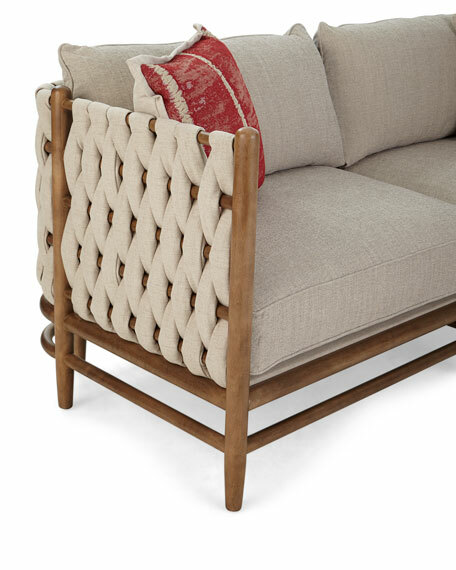 The beautifully crafted sofa is constructed of lengths of soft piping woven basket-style over an exposed wood frame. 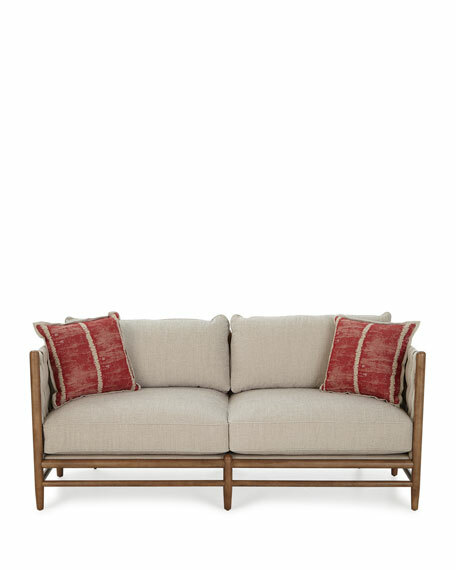 The wood is sealed with a warm, natural finish; the seat cushions are constructed with pocket coils wrapped in a down blend. 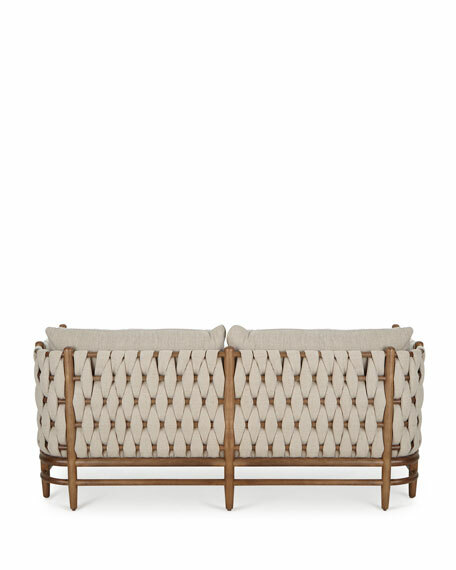 Woven sofa includes two 18"Sq. toss pillows. Rubberwood solids and Elm veneers frame. 73.5"W x 31"D x 30.5"T.